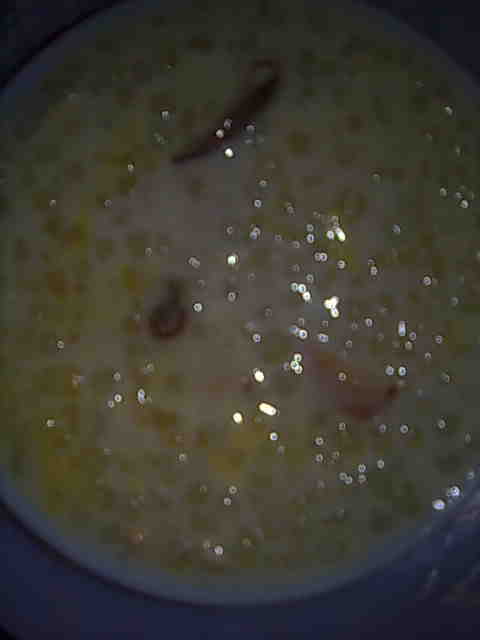 Sabudana kheer or sabudana payasam is mainly eaten in fasts including those of Ekadashi and Navratras. It takes a short time to cook after soaking and tastes absolutely divine. 1. Soak sabudana for 2 hours in just enough water so that sago is submerged. 2. Soak saffron in a little milk. Soak almonds. 3. Heat milk in a pan and let it bring to boil. Add sabudana and lower heat. Cook stirring continuously as sabudana has a tendency to stick to the bottom of the pan. When the sabudana turns transparent, that means it is cooked. 4. Add sugar and cook stirring for 2-3 minutes. Cook till you get the desired consistency of the kheer. Turn off the heat. 5. Add saffron, elaichi powder, slivered almonds, raisins and broken cashew nuts. Serve sabudana kheer hot or cold as per your liking.